Gábor Bretz was born in Budapest, where he still regularly performs with the Hungarian State Opera. He began his vocal training with Stephan Czovek in Los Angeles, and subsequently studied at the Béla Bartók Conservatory of Music and the Franz Liszt Academy of Music. Gábor has also attended master classes with Julia Hamari, Ralf Doring, Eva Marton and Yevgeni Nesterenko. He was awarded the Cesare Bardelli prize at the 2004 Viotti International Singing Competition, and was the winner of the 2005 Maria Callas Grand Prix Competition in Athens. 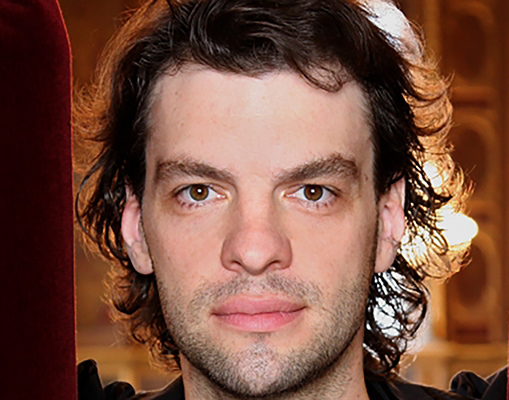 Since graduating from the Franz Liszt Academy he has appeared regularly with the Hungarian State Opera, where his roles have included the title-role in Mefistofele, Leporello Don Giovanni, Banquo Macbeth, Escamillo Carmen, Kothner Die Meistersinger von Nürnberg and Don Fernando Fidelio. Other notable appearances include Escamillo/Zuniga Carmen under Gustavo Dudamel at the Teatro alla Scala in Milan, Sparafucile Rigoletto for the Vienna Festwochen at the Theater an der Wien, and numerous performances in the title role of Bluebeard’s Castle with Helsinki Philharmonic Orchestra, the Bayerische Rundfunk Orchestra, and with the New York Philharmonic at Alice Tully Hall. Other operatic performances include Antonio Le Nozze di Figaro at the Salzburg Festival, Masetto Don Giovanni at the Komische Oper, Berlin, the title-role in Don Giovanni with Opera Zagreb, the High Priest of Babylon Nabucco for Opéra de Rennes, Sparafucile Rigoletto in Klagenfurt, Bluebeard Bluebeard’s Castle under Gergiev in Ekaterinburg and Moscow, and First Soldier Salome, Bluebeard Bluebeard’s Castle, the Monk Don Carlo, and Don Basilio Il Barbiere di Siviglia at the Teatro alla Scala Milan. He also sang the title role of Don Giovanni for Opera Australia, Seneca L’incoronazione di Poppea in Klagenfurt, and Escamillo Carmen for Leipzig Opera. In addition to his operatic appearances Gábor Bretz sings regularly in concert, and his repertoire includes the major oratorios of Bach, Haydn, Mozart (including the Coronation Mass under Helmut Rilling), Rossini, Puccini, Beethoven’s Symphony No. 9, Tippett’s A Child of our Time, Berlioz’s L’Enfance du Christ (under Sylvain Cambreling), and the Verdi Requiem in Budapest with the National Philharmonic under the baton of Zoltan Kocsis. A busy operatic season in the 2012⁄13 season saw Bretz performing Bluebeard’s Castle with the Swedish Radio Symphony Orchestra under Daniel Harding and a recording of Szymanowski’s Stabat Mater for Chandos. Plans elsewhere included Ferrando Il Trovatore at the Vienna Festwochen, Damnation de Faust with the Valencia Orchestra in Spain, Gurre-Lieder with Radio France under the baton of Esa-Pekka Salonen, Sparafucile Rigoletto at the Festival d’Aix en Provence and with the London Symphony Orchestra under Gianandrea Noseda, and Parsifal in Bologna under Roberto Abbado. Forthcoming engagements include Colline La Bohème at the Royal Opera House, a debut at the Metropolitan Opera and return to the Bayerische Staatsoper Munich as Escamillo in Carmen, Bluebeard’s Castle with the BBC Symphony Orchestra under Edward Gardiner, Gounod *Faust*’s Mephistopheles with the Hungarian State Opera, Bluebeard’s Castle at the Palau de les Arts Reina Sofía in Valencia and the Wiener Festwochen, and a performance of the Glagolithic Mass with the Bergen Philharmonic.